The earth is comprised of millions of varied species and the preservation of the environment is the most demanding issues in today’s scenario. India which is a land of multiple variants of living organisms and plant species, proudly beholds various wild reserves at its different corners. These reserves are not only the perfect habitat of such species but also offer fantabulous locations for wildlife tourism. Corbett National Park in Uttarakhand is among one of them that has been famed as India’s first and most popular wildlife reserves. It is really very appreciating that the wildlife authority of India is taking many necessary steps in preserving the most extinguishing species of India specially our national animal, the tigers, that has decreased to lesser than 1500. But ironically, the fact is something else. May be we are very much concerned about the conservation of wild species and the environment but some of the major incidences of tiger poaching have really agitated us and our multiple attempts of “save the tiger mission” is proving gentle to them (poachers). One such incidence has been witnessed in the vast vicinity of Corbett jungle, Tadoba in Maharastra and Bandipur in Karnataka last week; where around 20 tigers were believed to be killed followed by some prayer ceremony. It is being assumed that the Bawaris of the Bijrani range site, deep inside the Corbett, conducted some pujas before sacrificing the wild animals since the jungle officials found cloths, empty box of sweets and ash along with the body parts of the wild animals at the site. However the jungle officials of Corbett are denying the fact explaining the presence of the remnants of the body of jackals or porcupine; but still a red alert has been issued against this inhuman incidence. By appreciating the fact that Corbett landscape alone holds 214 tigers in its vicinity which is the highest count in the world, the incidence of animal sacrificing is really a serious issue. Since the open landscape of Corbett allows easy access to the poachers whose activities have heightened up recently. 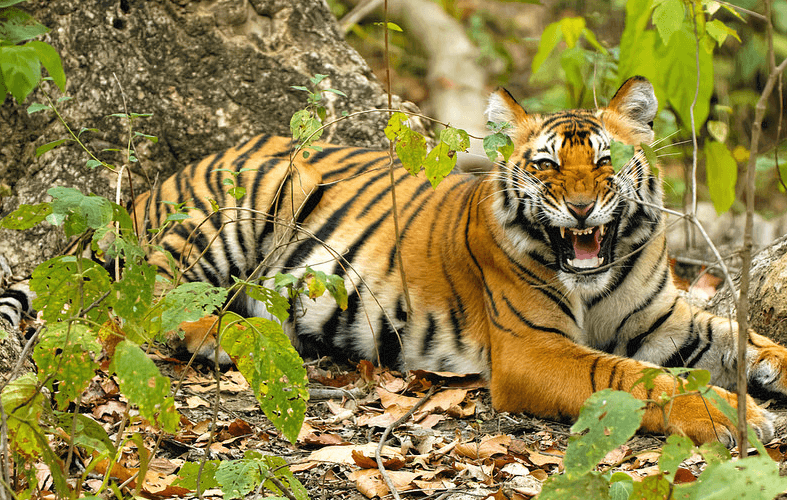 Surprisingly, the Tadoba Tiger Reserve is also facing similar kind of threat where the wildlife activists have observed the death of around eight tigers in the last few months. The most ironic thing that happened recently is that yesterday only we celebrated the World Environment Day (5th of June) that observed so many activists taking many initiatives in different parts of the world. Whether they were actively participating in Green Marathon or participated in different environmental programs; this news of animal sacrificing in the name of tradition and old belief actually deflowered every attempt of environmental conservation. The individuals still need more vigilant acts to perform so that the world should completely think about the eco-conservatism. We are still waiting for the time to come when our precious wild species will become 100% safe in their own land and thus we will find the flourishing environment.